6 oz. 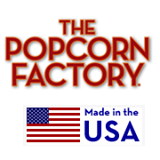 Drizzled Caramel Corn – Our original Caramel Corn kicked up a notch with a rich chocolatey drizzle. 6 oz. 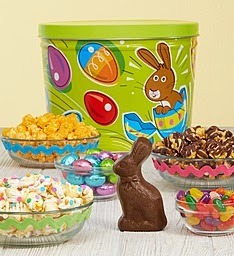 Bunny Pop Cornfetti – Our salty/sweet Kettle Corn with a sweet drizzle and candy confetti bits. 6 oz. Milk Chocolate Eggs – Individually wrapped, silky smooth and luscious chocolate treats. 6 oz. Easter Pectin Jelly Beans – Assorted jelly beans bursting with Easter flavors. 3 oz. Fannie May® Milk Chocolate Bunny – Nothing says Easter like a rich and luscious, solid milk chocolate bunny!